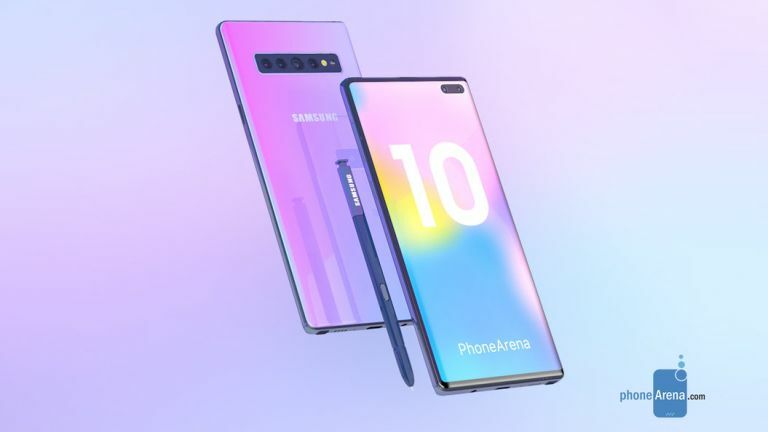 Samsung isn't set to launch its flagship Galaxy Note 10 until mid-August, but that hasn't stopped a steady stream of rumours surfacing about the as-yet unannounced handset. First, we tentatively heard that the Galaxy Note 10 will have a quadruple rear-mounted camera, then word came through that Samsung will launch a 5G-enabled version of the phone worldwide, too. According to sources with knowledge of exactly what Samsung has planned, the Galaxy Note 10 will boast a slightly bigger screen compared to the Galaxy Note 9. The latter has a 6.4-inch Infinity Display, while the next-generation Note is pegged to clock-in around 6.66-inches, Slash Gear reports. If that information is accurate, the Galaxy Note 10 will have a slightly bigger AMOLED panel than the Galaxy S10 Plus, which matched the record set by the Galaxy Note 9 last summer. However, a 6.66-inch Infinity-O display would not match the screen on the forthcoming Samsung Galaxy S10 5G. The latter sports a humongous 6.7-inch Quad HD AMOLED display with the same dual-curved design as the S10 and S10 Plus. According to Slash Gear, Samsung is aiming for around 89% screen-to-body ratio with the Galaxy Note 10. This device will purportedly have a display density of around 505 pixels-per-inch. Like the Galaxy S10 Plus before it, the Galaxy Note 10 is widely-rumoured to come with dual front-facing cameras for lavish Live Focus images with artificial, adjustable bokeh-style blur behind the subject of the photo. Slash Gear has also tentatively suggested a Galaxy Note 10 launch date, which it believes will land on Thursday August 8, 2019. That sounds pretty convincing, particularly because the Galaxy Note 9 was revealed at a Galaxy Unpacked event held on Thursday August 9, 2018. If Samsung sticks with the same launch schedule as last year, that means we'll see the Galaxy Note 10 hit store shelves worldwide on August 23, 2019. As always, it's worth digesting these new reports with a healthy pinch of salt – as plenty could change before the launch later this year.